Nowadays the usage of the smartphone is getting increased very rapidly. Now you can see a family must be having at least one smartphone. With the increasing demand of the smartphones, the protection of these is now a big concern. Many times the phone falls from hand or some areas the environment is not that good. So your smartphone gets damaged. Although you put case cover and tempered glass on your display, the phone gets damaged frequently by many users due to negligence. Due to this protection concern, the manufacturers are now manufacturing rugged smartphones. These phones are very much durable, and the build quality is very hard. And the demand for these smartphones is increasing day by day. Due to this reason, many manufacturers are tending to produce rugged smartphones. 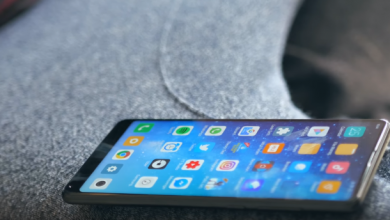 In this article I have reviewed the Poptel P8 4G smartphone which offers a fingerprint sensor, face unlock sensor, NFC, and IP68 water protection at a very low price. Read the article till the end to have the complete knowledge on this smartphone. The Poptel P8 4G smartphone comes with a very attractive package. The package is of black color. You can see the brand name Poptel is well printed on the front of the box. While doing the unboxing, you will get the user manual as per the image. You will have a power adaptor to charge your rugged smartphone. You are not getting any fast charger here. The charger has a rating of 5 V and 1 A. Here you can see the USB to micro USB cable. The cable is thick and of good quality. You can use this cable to charge the mobile and also use it to transfer data. At last, you can see the Poptel P8 4G rugged smartphone. The smartphone is wrapped with the cover very well. Now let us concentrate on the build quality and the structure of the phone. As it is a rugged smartphone, you will have a stud build quality and material here. This phone is very thick. Comparing to your normal smartphone the thickness of this P8 smartphone is double. Look at its back on the image. The back design of the smartphone is quite different than a normal smartphone. From the design, one can guess this a different type of phone. I have ordered the black color phone, so here the back cover of the smartphone is black. You can see four screws are fitted at the four corners of the phone. At just middle, you can mark the brand name Poptel. The writing pattern of the brand name is very eye-catching. Just above the brand name, you can see the fingerprint sensor. Above the fingerprint sensor, you can have the flash light and the camera. Here the rear camera comes with 8-megapixel sensor. At the bottom of the back, there is a big speaker. The speaker is also very loud. But the sound clarity is not that good. The backside of the phone comes with the very good plastic material. The texture gives us some kind of gaming smartphone view. At the right side of the P8 rugged smartphone, you can see a metal strip which is fitted with three screws. There are three buttons, and the buttons are of plastic material. You can see the volume rocker button at the top. Then there is the power on/off button below the volume keys. You can also have a fast button for the camera to take the snaps. The display is of 5 inches. But this display is not an HD display. It has a resolution of 960 X 480 pixels. Here you are getting under display navigation buttons on this new Poptel P8 rugged smartphone. At the top of the display, you can see the speaker. At the right side of the speaker, you can have the selfie camera. The selfie camera comes with the 5-megapixel sensor. At the left side of the speaker, you can see the proximity sensor. Here you will get dual SIM support. But you will get hybrid SIM slots. So you can use either 2 SIMs or 1 SIM and 1 SD card. The hybrid SIM slot is present at the left side of the Poptel rugged smartphone. At the top edge of the Poptel P8 4G phone, you won’t get anything. Here at the bottom edge, you will have the micro USB port to charge the battery. Also, you will have the 3.5 mm audio jack. Both the ports are well protected by the covers. Before doing the review, let me give you the configuration of the smartphone. The smartphone comes with the latest Android 8.1 OS. 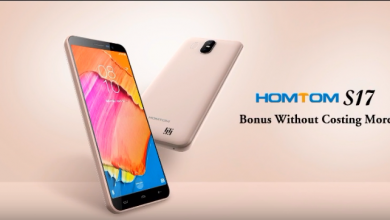 Here you will have 2 GB RAM and 16 GB of internal storage. You can also expand the memory up to 128GB by using an external SD card. The phone is powered by a MediaTek 6739 quad-core processor. You will have 3750 mAh massive battery backup. Moreover, you can have 8 MP rear camera and 5 MP front camera with this Poptel P8 phone. Now let us move to the review part. Let us first discuss its display. Here you will have a bright display. You will get good brightness here. While you will be outside, you can have a good display even under the sunlight. The clarity of the screen is also good. But you are not getting the HD display here. So you cannot enjoy HD quality video play on YouTube. But the color productivity of the phone is good. The network strength of the phone is quite good. You are getting 4G connectivity with this phone. But you can use on 4G SIM and another 2G/3G SIM. The voice clarity and the call quality is quite good. Now let us focus on its battery performance. Here you are getting 3750 mAh battery. I can say the battery performance is above average. The battery performance is not that good. It may be due to the processor. As the processor may not be battery efficient. The main speaker of the smartphone is at the backside. So when you keep the smartphone on the table by facing the back to the table, the sound gets affected. Here the speaker is very loud, but the sound clarity is not up to mark. But according to its price point of view, the performance is good. The rugged smartphone has got IP68 water-resistant protection. I like this feature a lot. Moreover, the phone has got very hard plastic. So you will get very good protection against the accidental damages. The UI of the phone is good. It is nearly stock Android. But sometimes I feel there are little lags while going from one app to another. Here you will get MediaTek 6739 processor. At the price point of view, it is a good processor. You will get very good performance on this processor. You can even play some games without any lag. But the processor is not battery efficient. You are getting 16 GB internal storage. But out of it, you will get 10.64 GB free memory which is very less. If you will install 2 or 3 big games, the memory gets killed very soon. Although you can expand the memory by the external memory card, you cannot make it use as the internal storage. The camera performance of this rugged smartphone is not that good. The interface of the camera is simple. But it takes a very long time to response. The front camera and the rear camera works perfectly under external light condition. But the saturation is not that good. Under artificial light or low light condition, both the cameras don’t perform that good. 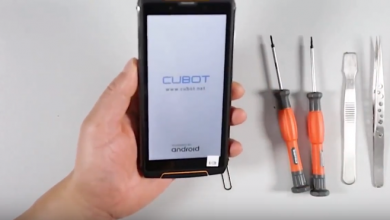 You will get a rugged smartphone at a very low price. The brightness of the screen is good even at the outdoor condition. The speaker is very loud. You can enjoy the clarity on the call quality. You will get the latest Android 8.1 OS on this phone. The memory can be expandable up to 128 GB. You will get good IP68 water-resistant protection. The processor is not battery efficient. You are not getting good internal storage here. 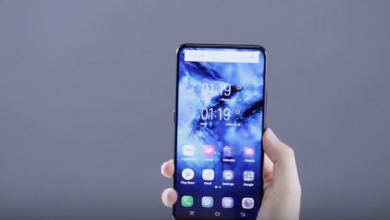 There is no HD display on this smartphone. The camera performance is not that good. You can feel little lag while operating this smartphone. If you talk overall, it is a very good package at this cheap price point of view. I can say the overall performance of this Poptel P8 4G rugged smartphone is above average. The brightness of the screen is quite good. The speaker is also loud. You will get a stud build quality on this smartphone. The call quality and the network strength of the phone is quite good. You will also get protection against the water damage. Moreover, you can enjoy the latest Android 8.1 OS. Still, you have to sacrifice a little bit on its camera performance and battery life. If you ask me, I can suggest you this Poptel P8 4G rugged smartphone at this price. I think the above review is quite good to have the depth knowledge on the performance of this rugged smartphone. If you like this product, you can opt for it without any doubt. I am a technical writer. I like to review new gadgets and always come out with latest technical news. Stay in touch with me to know about latest gadgets.